This book is divided into eight chapters that explore topics important to both gardens and conservation. Fertile, porous soil (The Skin of the Earth) and clean water, our most precious resource, are critical to our existence, but garden practices affect their health and sustainability; these natural resources are explored in the first two chapters. Chapters 3 and 4 guide plant selection. What are native plants, and should you use them? When are they appropriate, and when is a nonnative a better choice? How can you determine which nonnative species will invade, and why are people so concerned about them in gardens when the problems they cause occur in wildlands? The plants you select, as well as other aspects of your garden, such as its structure and water features, can attract desirable wildlife and repel undesirable animals, topics explored in chapter 5. However, gardens also invite unwanted plant, insect, and other species, and how to safely control and even prevent their presence is the subject of chapter 6. The final two chapters, on global warming and reducing waste, look at the big picture as a spur to change. Gardeners can help prevent climate change through simple measures such as reducing soil tillage, switching to push mowers, growing some of our own food, and planting trees to shade the house in the summer. We can also help shrink landfills by composting, not buying overpackaged goods, and either reusing or freecycling garden items. The book ends with an appendix summarizing more than twenty years of the author’s research on garden plants that can become invasive, with a table of the species worldwide, their impacts, and where they are known to be problems. Sarah has set a lighthearted tone throughout and thankfully doesn’t get all preachy, it’s engaging reading and often quite easy to embrace her sustainability messages. She has a nifty list of conscientious choices list in the Epilogue that is a full of excellent suggestions such as, “I encourage garden centers to purchase plants grown in decompostable pots, or I do not trade plants with other gardeners if I know the plants are invasive, or I slow the movement of water so it is absorbed into the soil by using plant layers, bioswales, rain gardens, green roofs, or other methods. Sarah Hayden Reichard is Professor of Conservation Biology and Adjunct Professor of Landscape Architecture at the University of Washington. She is also Curator of the Hyde Herbarium at the University of Washington and heads the Rare Plant Care and Conservation Program, both at the University of Washington Botanic Gardens. She is coeditor of Invasive Species in the Pacific Northwest. An up-to-date guide for commercial and residential Texas peach growers . . .
With an estimated one million trees producing almost fifty million pounds of fruit per year, Texas is a leading producer of peaches, and several popular seasonal festivals highlight the widespread enjoyment of and interest in this delicious, versatile fruit. In addition, a recent rise of interest in edible gardens and home fruit production has led more people to think about planting a peach tree in the yard — or paying closer attention to the one they already have. Jim Kamas and Larry Stein, drawing from their many years of experience and the best current research, provide authoritative advice for those who want to improve peach production, whether in a large commercial orchard or on a single tree in the back yard. With discussions ranging from site selection to marketing ideas, Texas Peach Handbook covers the basics of peach cultivation — planting, pruning, fertilizing, watering, protecting, thinning, harvesting — and gives both instruction on disease and insect control and advice on the financial aspects of the peach business. The authors also direct readers to other, more detailed or technical sources, for those who want to learn more about a given topic. For its complete and useful information and expert guidance, this how-to handbook will prove indispensable for anyone who grows, or wants to grow, peaches either commercially or in the backyard. A valuable chapter on cultivar and rootstock recommendations for Texas peach growers is essential reading for anyone growing peaches – once the winter chilling hours have been determined. Lists and descriptions of cling, semi-cling and freestone varieties will help fine tune the selection process. Jim Kamas, based in Fredericksburg, is assistant professor and extension horticulturist in the department of horticultural sciences, Texas A&M University, and the Texas AgriLife Extension Service. He was formerly a research associate in the A&M peach breeding program, has taught undergraduate fruit production classes at Texas A&M University and was a commercial peach grower for ten years in Austin County, Texas. Larry Stein is professor and extension horticulturist in the department of horticultural sciences, Texas A&M University, and the Texas AgriLife Extension Service. He worked at the Texas AgriLife Research and Extension Center in Stephenville for seven years before moving to Uvalde. With the exception of Missouri, no Southern state received such a massive influx of German immigrants as did Texas. Ship after ship filled with Germans seeking their “new Germany” arrived into the ports of Galveston, Indianola, and New Orleans. In 1846, about eight thousand arrived in Galveston alone. Because the immigrants tended to settle together, the German influence was often far more pronounced, or even overwhelming, locally. According to German Seed in Texas Soil, the populations of Galveston, Houston, and San Antonio during the 1850s were roughly one-third German. Like most early settlers, the Germans grew such edible crops as sweet potatoes, Irish potatoes, corn and cabbage. It doesn’t appear that the Germans were responsible for introducing any new types of vegetables into Texas, but they can be credited with new uses for existing crops. It was the German influence that led to an increased consumption of white, or “German” potatoes, and the use of cabbage for kraut, tobacco for cigars, and wheat for “light bread” and flour tortillas. 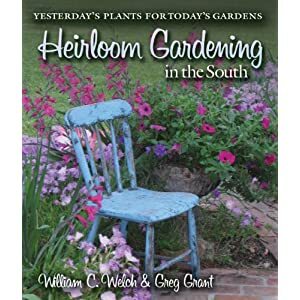 Building on the popularity of the original edition, this lively, entertaining, and informative new book from two proven experts will be enthusiastically welcomed by gardeners and horticulturists throughout Texas and the South. William C. Welch is professor and AgriLife Extension landscape horticulturist in the Texas A&M System. He has many years of experience with garden clubs and nursery organizations and is a regular contributor to Southern Living Magazine. On the board of directors of the Southern Garden History Society, he is also an honorary member of the Garden Club of America, which awarded him its distinguished service medal in 2008. Greg Grant is the Stephen F. Austin Gardens outreach research associate at Stephen F. Austin State University in Nacogdoches. 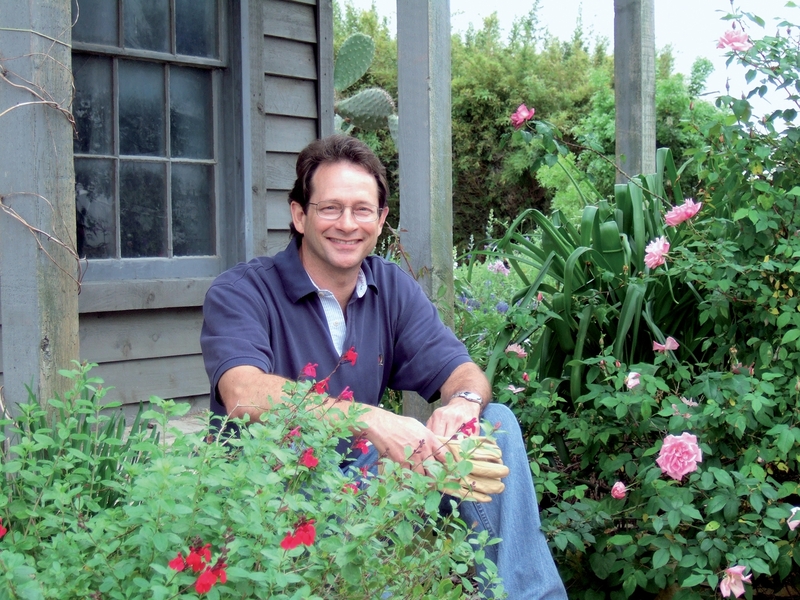 A former AgriLife Extension agent and lecturer in horticulture at SFA, Grant has traveled extensively to gardens in the U.S. and Europe and is a popular speaker on garden topics throughout the South. He is a regular contributor to Neil Sperry’s Gardens and writes the column, “In Greg’s Garden,” for Texas Gardener. Doing something slowly means savoring what you do. However, in just a few generations, we’ve gone from eating mostly home-cooked food and gardening with mostly local resources to a fast-food culture and cookie-cutter “mow-and-blow” landscapes filled with unproductive and high-maintenance plants from afar. Sure, we’ve shed a lot of the menial labor it takes to put both food on the table and flowers in the garden, but at what cost to the Earth, and our own bodies? 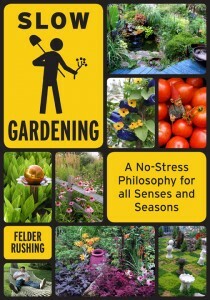 Felder Rushing, a truly one-of-a-kind garden expert, offers this practical yet philosophical approach to gardening – one that will help you slow down, take stock of your yard, and follow your own creative whimsy in the garden. Slow Gardening will inspire you to slip into the rhythm of the seasons, take it easy, and get more enjoyment out of your garden, all at the same time. People often get bogged down with the details of life, seeing everything as a confusing morass of intricacies –like a ball of rubber bands. 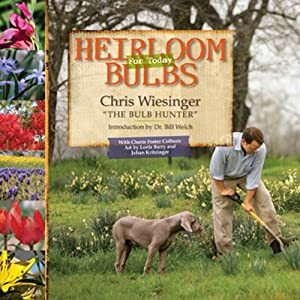 This book attempts to “de-construct” gardening into simple acts that are in themselves only tools for attaining the bigger goal of savoring our lives. Take it easy. Slow doesn’t necessarily mean simple or lazy. In fact, it can actually involve more work, just spread out over time in a leisurely fashion. It’s a one-foot-in-front-of-the-other approach similar to preparing regular, interesting meals at home. There is no need to get hung up about the rules of garden design and step-by-step instructions in gardening how-to books. You can be cussedly independent, contemplative, unhurried, and unworried. Be in it for the fun, and take your time about it. Don’t be paralyzed by what you’re not doing right, or by what you think you ought to do. Slow Gardening does not discriminate based on materials, personal style, or level or interest or expertise. Along these lines, Slow Gardening is less about style, and more a way of being in tune with whatever rings your bell. Slow Gardeners might be hard-core green gardeners with a penchant for native plants and sustainable methods, or sharply focused lawn fanatics, daylily collectors, or people who just love to grow tomatoes. They’re not trying to get anywhere, since they have already reached their destination. If it thrills you and you’re doing it, that’s Slow Gardening. Felder Rushing is a tenth-generation American gardener, raised into his teen years under the apprenticeship of a horticulturist great-grandmother who grew flowers, vegetables, herbs, and fruits without a hose or pesticides, and a garden club grandmother who garnered hundreds of blue ribbons for her plant breeding and displays. Mmm, can’t you just taste those luscious tomatoes? Bill Adams, former Harris County Extension Agent draws on more than thirty years’ experience to provide a complete, step-by-step guide to success in the tomato patch. Growing good tomatoes requires a gardener’s attention to a variety of factors. Bill Adams begins this book by explaining the basics of soil preparation, planting, feeding, caging and watering. He also outlines the pros and cons of standard, hybrid, heirloom and cherry varieties, sharing tips about old favorites and suggesting new varieties. After the tomatoes are chosen, planted and thriving under his tutelage, Bill prepares gardeners for the insects, diseases, and other visitors they are likely to encounter, warning that “gardeners are not the only ones that love tomatoes.” He ends by offering a few words about the “tomato kin folk,” peppers, eggplants, tomatillos, and potatoes, along with a source list of selected suppliers. • Bird damage shows up on tomatoes as deep holes pecked into the fruit. After trying to peck a baseball painted red, most birds give up. • Tomato seedlings need to be close to the fluorescent lights – six to twelve inches will ensure that they develop dark green and stocky. • Cottonseed meal is a relatively cheap organic fertilizer that is available from most feed stores. Placing or banding fertilizer under the row is one way to concentrate the nutrients close to the tomato plants. • Tomato plants grown in 5-gallon containers are great for getting an early start in the garden, but the containers are not large enough for production. A 20- to 30-gallon container results in a more extensive root system that can better supply water and nutrients to the developing fruit. • Lay down a tall transplant to encourage roots to develop along the stem. • Tomato transplants can be protected from cutworm damage with a cardboard or aluminum foil collar around the stem. Liberally sprinkled with the author’s easy humor and illustrated throughout with excellent photographs, The Texas Tomato Lover’s Handbook has everything you’ll need to assure a bumper crop, year after year. et, and other publications. He grows tomatoes at his home in Burton, Texas. Bill contributed the photos for this book with his wife Deborah. by Julie Moir Messervy is a new book published by The Taunton Press. Julie Moir Messervy challenges readers to discover what kind of designer they are by taking a fun designer’s personality test to better understand what aesthetic garden style best fits. The score based on the answers to a series of questions will reveal which of the following designer styles best fits, reserved or expressive, practical or conceptual, principled or personal, orderly or relaxed. – where the site is thoroughly examined for soil, sun, wind, circulation, vegetation and views. –where one of four basic layouts is used to organize the space around the house, as well, an aesthetic arrangement is chosen and a theme or style identified. -where the surrounding, welcoming, neighboring and living zones are identified. -where movement around and through the landscape is studied according to whether people will be moving, pausing or stopping. -where focal points and frames are placed in the landscape to create a harmonious picture. -where the details that bring the landscape to life such as beauty and harmony are added using the natural elements of earth (plants), water, fire (lighting) and air. can provide the inspiration to create a unique, usable and personal space. The Island – being in the middle of an open space. In the Lay of the Land chapter of Home Outside by Julie Moir Messervy. Home Outside. Many simple “plan view” sketches have been include to illustrate the points made in the text. For example, three different driveways are shown for the same house, a good pedestrian flow and bad flow examples and a symmetrical framing of focal points and asymmetrical one. 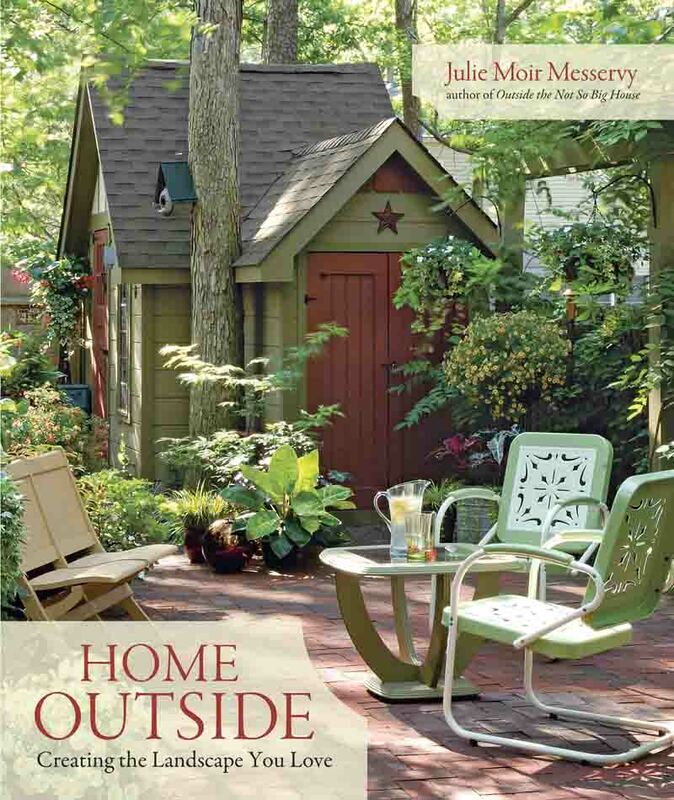 , Julie Moir Messervy transforms the design process into very manageable and easy to comprehend topics so that homeowners can really create a landscape that is their own “home outside,” — one that can be truly used, enjoyed, and provides a real outdoor connection. from the Editors and Contributors of Fine Gardening. is Thanksgiving dinner with all the trimmings and pumpkin pie for desert. The book is loaded with luscious color photos that are good enough to eat. In full color and growing in glorious containers are everything from big and beautiful red banana, fabulous foliage Persian shield, sophisticated silver sage, eye catching Dragon Wing begonia, spectacular succulent echeveria, packing a punch Mandevilla, summer radiance ‘Cherries Jubilee’ Allamanda, incredible edible ‘Bull’s Blood’ beets to bring on the drama – Rex begonia. is filled with imaginative and creative ideas to grow new plant combinations and to accessorize with plants and containers in new ways. For example, not many gardeners would have thought to use a sweet potato from the grocery store billowing out of a large container with white Million Bells Calibrachoa (annual), Artemisia ‘Powis Castle’ (perennial), lemon grass (herb) and Purple Wave petunia (annual), but the combination of textures, shapes and forms is quite attractive. The book is full of creative ideas portrayed through pictures. One at the beginning that I like is a wrought Iron table with large openings in a grid pattern on the top. The openings are the perfect size for the 4” terra cotta pots shown slid through part way. A series of succulents are placed around the edge of the table with larger gallon pots in the center. Smaller pots are placed under the mesh table on patio blocks. Some patio slabs have been removed and squares of attractive plants growing up from below. Beside the elegant and formal container displays are a few fun examples of funky pots and funky painted Adirondack chairs for the whimsical at heart (like me!). And for those that need help to stage containers, there are photos that show how easy it is to create an attractive display using overturning pots to build up a pedestal to the desired height. 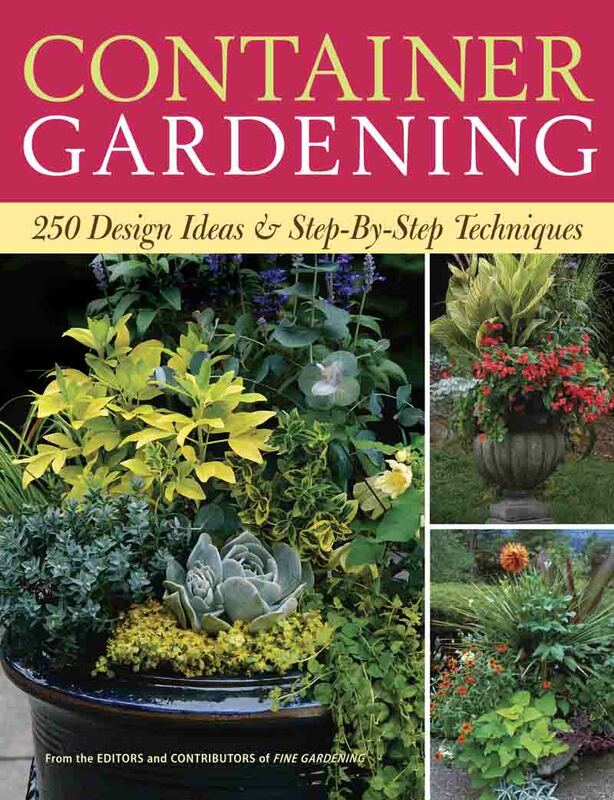 Container Gardening is more than just a book of inspiring pictures – it is informative too. Many of the plants are listed with their hardiness zone or category labels: annual, perennial, herb, etc. The Materials & Techniques section is a particularly good part of the book for do it yourself information. A step-by-step propagation section shows how to take tip cuttings and which plants are the best to root. Lee Reich contributed a chapter on making a good potting soil. He suggests mixing your own soil, which he says he has found produces better results than commercial mixes. He includes a homemade potting soil recipe which uses 2 gallons each of peat moss, perlite, compost and garden soil. Included with this he adds ½ cup each of dolomitic limestone, soybean meal, greensand, rock phosphate and kelp powder. Do-it-yourselfers will appreciate the Drip Irrigation 101 chapter with details on setting up a watering system. Also informative is the build your own lined hanging basket and hypertufa container. The photos are nicely done with good close up details. Including real world situations portrayed by insect eaten leaves. Many nice, lush and full packed pictures of containers fill the pages – some a bit too full, reminding me of how a garden would look after being prepared for an open garden day – warning, selective pruning will be required for some containers in about two weeks to keep the plants in bounds. In any event, the Fabulous Foliage chapter is fabulous. Throughout the book are numerous design and staging suggestions such as to break up wall space with containers or soften hard edges and corners with containers. One of the best design tips in the book is to think of the plants going into your containers as being in one of three categories. The “Thrillers” are the plants that make a bold and exciting centerpiece – like New Zealand flax. The “Spillers” are the plants that tumble from the container – like sweet potato vine, and the “Fillers” are the plants that fill up the pot. This last group includes lantana, pentas or wax begonia. Think of using the three basic types of plants, thrillers, spillers and fillers in your next container design. Container Gardening is full of good solid information about successfully creating more above ground growing areas. But there are a couple of areas where I wanted the writers to tell or show me more. While many container plant arrangements were identified with a drawn key, there were still some that were not fully identified and this was a bit frustrating. Also, I wanted to read more than just 4 pages about using perennials in containers as I feel that they are underused and could really add a lot to any garden. An expanded chapter on edible plants in containers would also be justified as interest in food growing is on the increase at present. There are plenty more vegetable plants that are excellent for containers that could have been shown. Well maybe Taunton Press has plans for a follow up book to cover these areas. Cover image used with permission of The Taunton Press. 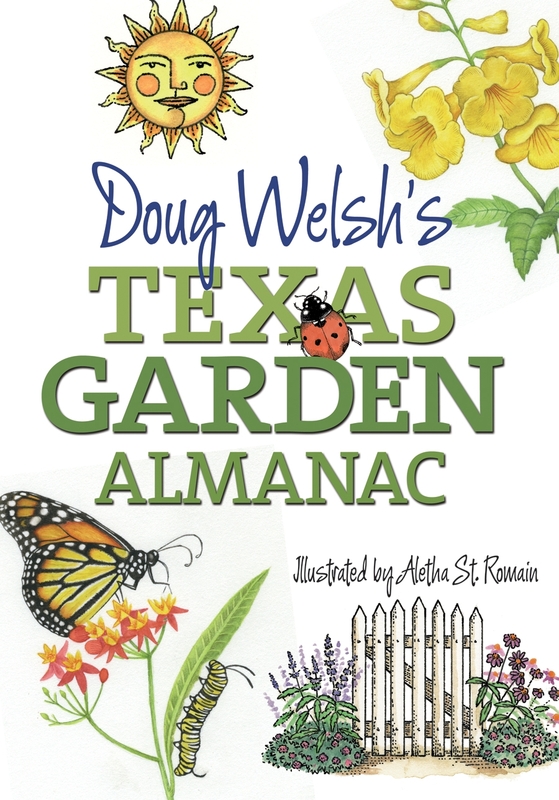 The Texas Garden Almanac is set up so that all you have to do is open the book to the appropriate month and Doug’s excellent advice is laid out in an easy to understand strategy for gardeners of all expertise levels to use. It is written in an engaging conversational style and covers all the essential topics of growing trees, shrubs, vines, lawn, vegetables, herbs and fruit. Design themes are also included as well as key plant growing topics focusing on soil, mulch, water, dealing with pests and plant maintenance. 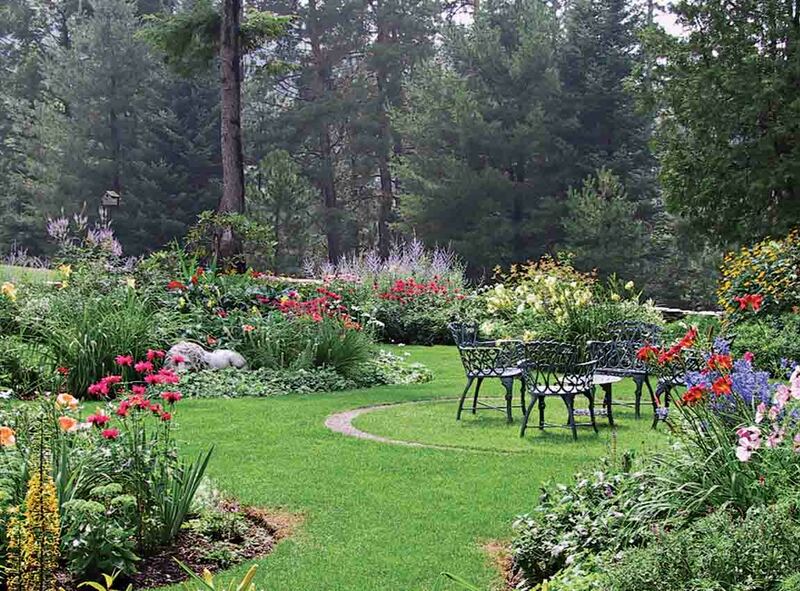 The Texas Garden Almanac tells how to create beautiful gardens and have fun doing it. At the end of every chapter is a Timely Tips section with important points relating to flowering plants, garden design, soil & mulch, watering, plant care, trees, shrubs & vines, lawns, vegetables, fruits & herbs, houseplants and even a few points for butterflies, birds and squirrels. Many diagrams have been added to illustrate key techniques, including many in the February chapter on pruning. Texas maps for the first and last average freeze dates, chilling hours, hardiness zones, and rainfall are very beneficial as an “at-a-glance” reference. Many other handy charts and lists are included in The Texas Garden Almanac such as Bermudagrass cultivar comparisons (April chapter), deer-resistant plant lists (July chapter), when to plant fall vegetables (July chapter), and top trees for Central Texas recommended by Skip Richter (August chapter). The book also contains design ideas on form, color and tips for the do-it-yourself landscaper in the September and October chapters. Doug doesn’t balk at having a little fun while offering his sage advice. He lists the top 10 mistakes of Texas gardeners in the November chapter and has the top 10 New Year’s Resolutions for gardeners and yardeners in the December chapter. Even though most gardeners agree about the importance of soils for a successful garden, having a discussion about soil is most often not met with much enthusiasm. Soils 101, 201 and 301 in the January chapter do focus on the importance of good soil preparation, but Doug has written them in easy to understand terms with nothing harder to say or spell than alluvial (defined as river-deposited), sodic (salty) or microorganism. With a caution of “Don’t monkey with the soil too much”, Doug has again succeeded in making his soil lesson fun and educational. One of the most unique pieces of advice that Doug gives is to encourage readers to think like a plant. In the January chapter he writes “Perhaps the greatest ability you can achieve in gardening is to think like a plant. If you can do so, then you can understand a plant’s needs, anticipate and respond to them, and most important, avoid problems associated with not meeting the plant’s needs.” Doug goes on to say that he knows that plants don’t actually think. But it is helpful for him to think like a plant- hopefully for readers too. 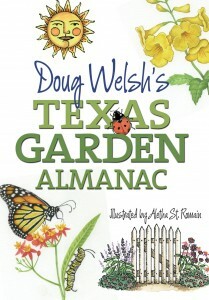 Doug Welsh’s Texas Garden Almanac is $24.95 with 512 pages, 6 color maps, more than 170 color illustrations and 50 black & white drawings. It is published by Texas A&M University Press and is available online at www.tamu.edu/upress. The book is illustrated by Aletha St. Romain (it has a wonderful Old Blush China Rose illustration for the January chapter among many other wonderful illustrations). Doug Welsh is a professor and extension horticulturist at Texas A&M University and statewide coordinator for the Texas Master Gardener Program. Doug also hosts a gardening call-in radio show called Garden Success! on KAMU-FM 90.9 Thursdays from noon to 1 pm and provides gardening tips on television each week on The Weekend Gardener shown Fridays on KBTX-TV. For more details about The Texas Garden Alamanac visit the Texas A&M University Press Consortium at www.tamu.edu/upress/BOOKS/2007/welsh.htm or call 1-800-826-8911.